Less is known about the second college year compared to other transition points, and fewer high-impact initiatives and curricular programs tend to be offered to sophomores. To increase our knowledge of this important, but sometimes neglected, year on the collegiate journey, The National Survey of Sophomore-Year Initiatives and the Sophomore Experiences Survey was undertaken. Researchers explored sophomore student characteristics, institutional efforts to support sophomores, and student perceptions of their learning and development. Divided into three sections, the report offers an overview of each survey instrument and an integrated discussion of findings and their implications for practice and ongoing research. 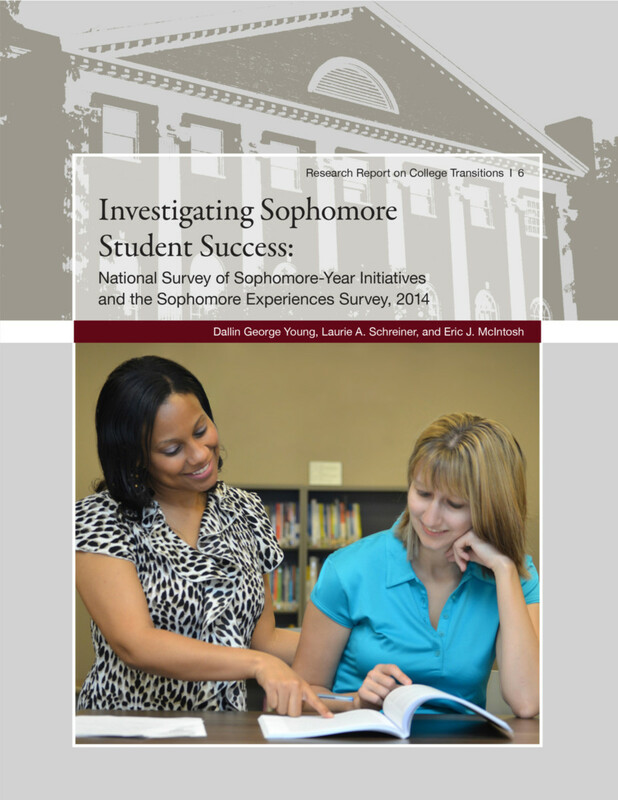 The research report provides useful tools for institutions looking for benchmarks to create new sophomore-year programs or restructure existing initiatives.